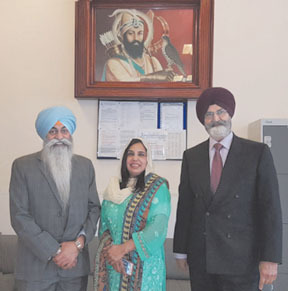 LONDON: Welcoming the opening of Nankana Saheb-Kartarpur Corridor, the Gurdawara Sri Guru Singh Sabha, Southall, the representative body of Sikh community based in the UK, has expressed their wish to start developments around Kartarpur Corridor. 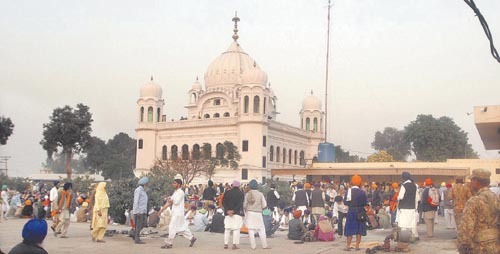 In a suggestive letter signed by President of the Sabha, Gurmail Singh Malhi said that they need 5 acres of land around Kartarpur Gurdawara for the charitable accommodation and opening of a higher secondary school for the benefit of the children of Kartarpur village which needs such developments urgently. He assured that these developments will be totally funded by donations from the Sikh community. “Sikh community also wish to participate in the developments of charitable accommodation facilities for the pilgrims around the historical Gurdawaras all over Pakistan. 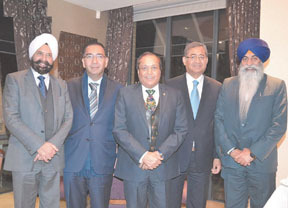 A formal meeting between the visiting Hameed Kudwai, the Coordinator of Hashwani Group from Pakistan and executive members of Sabha was held at Bombay Palace Restaurant, central London on 14th January and later on 17th January, a MoU was signed at Gurdawara Sri Guru Singh Sabha, Southall to implement the required arrangements. 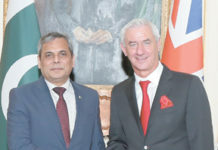 Other participants at the first meeting were including Deputy Chairman of the Hashoo Group Murtaza Hashwani, Chairman of The British Sikh Association Dr Rami Ranger CBE, Ambassador Hameed Kidwai, the President of Sri Guru Singh Sabha GurdwaraMr Gurmail Singh Malhi, Hashoo Group’s Chief Commercial & Strategy Officer Steven Henderson, Vice Presidents of The British Sikh Association Jasbir Johal and Surjit Pandher, Vice Chairman of The British Sikh Association Dr Ravi Gidar, former president of Pak-India & UK Friendship Forum Saleem Sheikh, Adviser Nayaz Qazi and the President of The British Sikh Association Amarjit Dassan. During the meeting, it was decided that to begin with arrangements for the facilities around Nankana Sahib and Kartarpur Corridor will take place for the forthcoming 550th Gurpurb Celebrations of Guru Nanak Dev ji. The MoU, signed between Hashoo Group and British Sikh Association, to ensure construction of commercial hotel developments around the historical Gurdawaras in Pakistan. 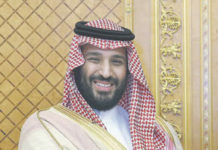 It was expressed at the meeting that the Sikh community worldwide wants to participate effectively in the management and developments of all the historical Gurdawaras in Pakistan. The necessary amendments in Articles and Association of Pakistan Sikh Gurdawara Prabandhak Committee (formed by Pakistan Government) so that non-resident Sikhs worldwide have major say and role in the management and developments of all such Gurdawars in Pakistan. In this way, the Sikh community worldwide will be interested to donate several hundred millions of dollar for this purpose. It was also discussed that the current procedure for issuing of visa for pilgrims for the visit to historical Gurdawaras in Pakistan is quite cumbersome, time consuming and expensive. 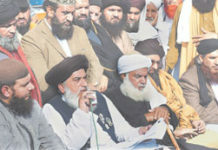 Current visas also put a lot of restrictions on the movement of visitors to the places in Pakistan. If these issues and our concerns are addressed and resolved as soon as possible, this will attract a large number of Sikhs worldwide to visit Pakistan throughout the year and would be beneficial to all. The MoU was signed by Gurmail Singh Malhi, Hameed Kudwai from Hashoo Group and representatives of Sikh Missionary Society, Southall, RSA Hayes Gurdawara, Ram Gharia Sabha, Southall and Ealing Gurdawara.